Early hours of the 14th January 2019 - very nice night after a long period of 'cloud' and 'Christmas lights'. Sadly my Star Adventurer mount was playing up or I was just out of practice. This image'stack' was the best I managed on the night using my 66mm. Altair Astro Doublet, a 0.6x focal reducer and field flattener and Canon 600D DSLR. 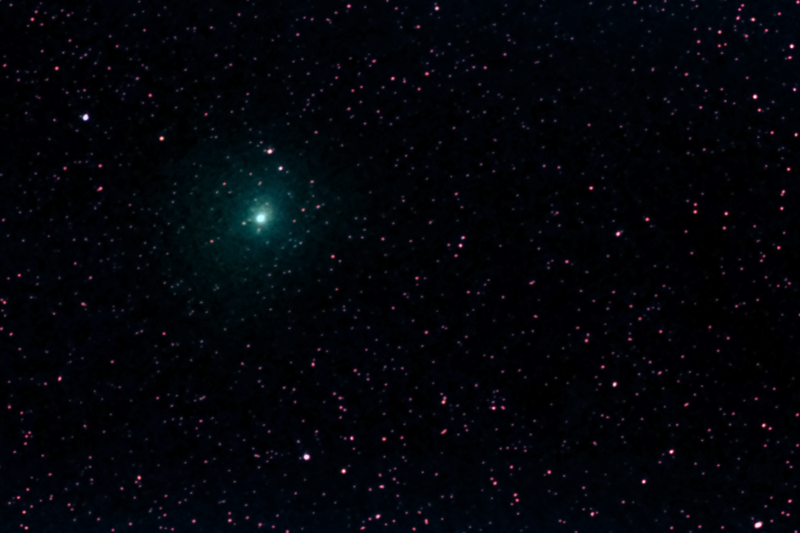 Comet 46P/Wirtanen not far from the Great Bear's nose.